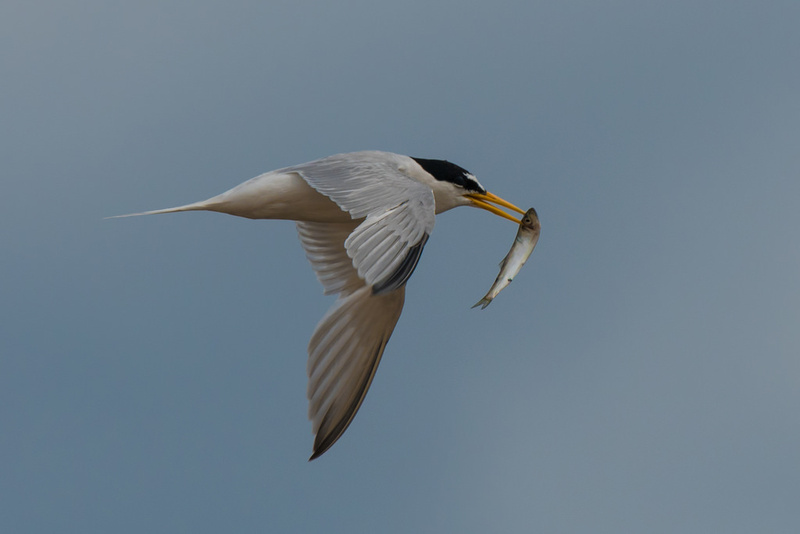 Tim writes: This is an adult Little Tern carrying a fish. I thought it was a sandeel when I took it, but the body looks too broad, more like a juvenile Herring. Little Terns are one of our rarest breeding seabirds with a British population of just 1,600 pairs, and declining. The Arctic Tern has 53,000 pairs for comparison. They are also one of our smallest seabirds, weighing about 56g which is about half the weight of an Arctic Tern. Little Terns nest in relatively few places, usually on beaches where they often get disturbed by people and dogs. 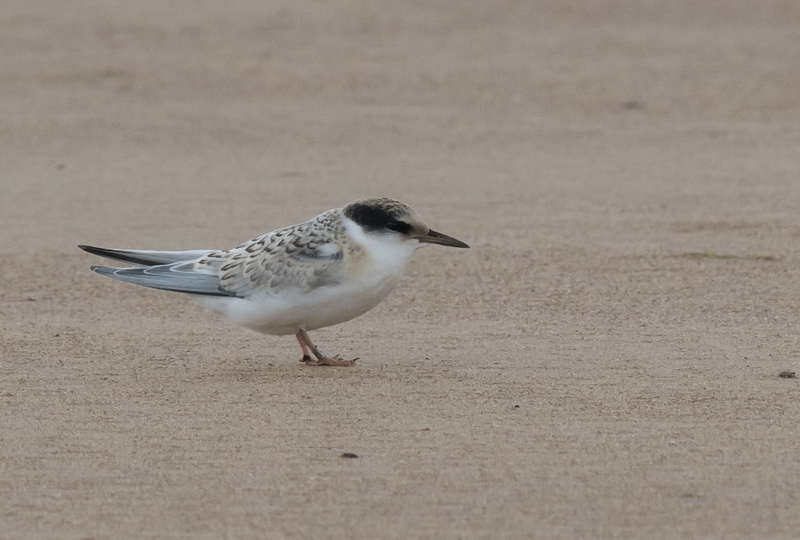 I took this photograph in late July near Redcar where I saw about 150, but just 8 juveniles. Colour rings told me these were from a nearby breeding site up the coast in County Durham where about 70 pairs nest. But in June some moron released his dogs inside the nesting fence and wiped out fifty nests. This is why I only saw eight juveniles. Here’s a recently fledged juvenile I photographed at the same time. Mark writes: the first wage I earned was in 1976, before going to university, as the warden of the St Cyrus Little Tern colony north of Montrose and employed by the Nature Conservancy Council. These photos of ‘Wee Forkies’ bring back those hot summer days. And indeed memories of working on research on tern species for the RSPB in the late 1980s. Have I seen Little Tern this year? No I don’t think so – I need to get out more!